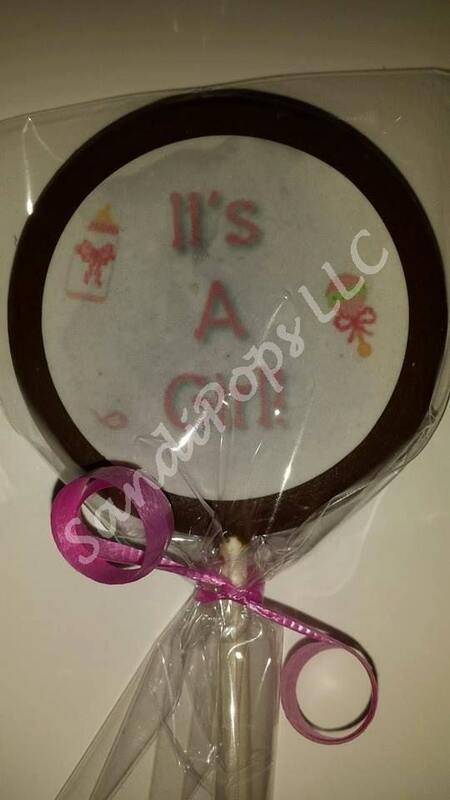 These delicious chocolate lollipops are made-to-order and will make a perfect addition to your Baby shower, to give to a new mom or to use as an announcement of the birth of your new bundle of joy. 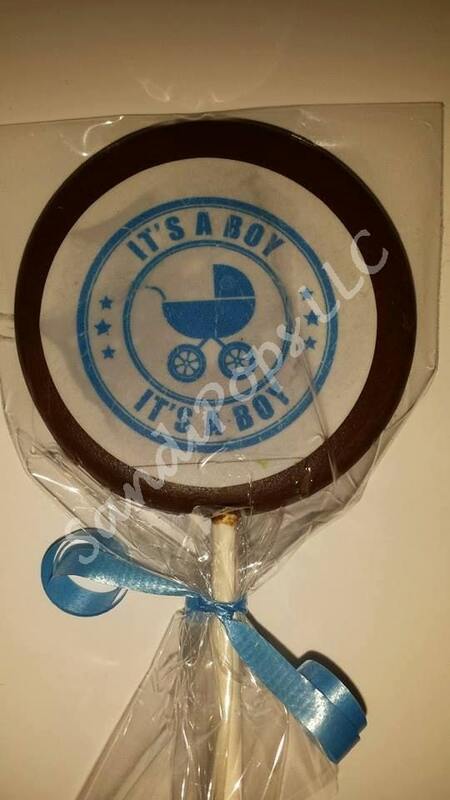 This listing is for 24 EDIBLE IMAGE LOLLIPOPS!!!! HAND-PAINTED AVAILABLE at an extra fee. 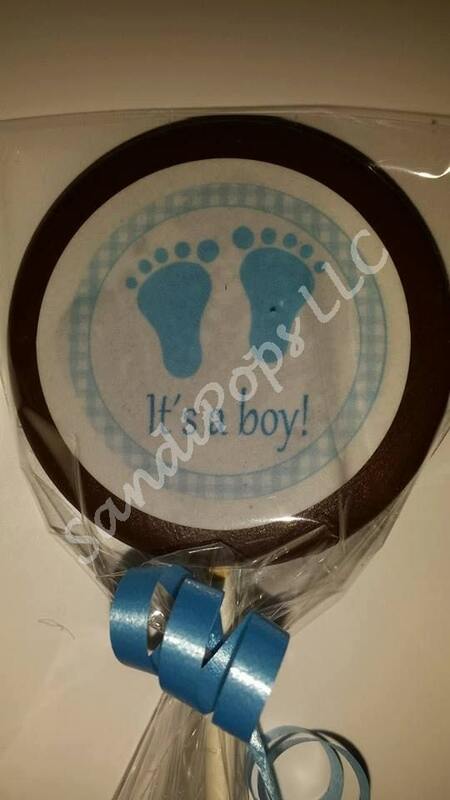 Each lollipop is individually wrapped and tied with a curled ribbon. I can certainly make any number of pops you need, convo me for pricing. I can also make them in any colors you want.